Her awakening: San Francisco heiress Romi Grayson has only had a taste of Maxwell Black's addictive brand of seduction and knows she should stay away, especially having discovered just how determined he is to possess her! His proposal: Max prides himself on always being in control, yet somehow Romi sneaked under his cast-iron defenses, then walked away. Now he is driven to finish what they started. The ultimate prize! This Russian tycoon will stop at nothing, even blackmail, to have Romi warm and willing in his bed. And her innocence will make his long-awaited possession all the sweeter. This is definitely a different type of romance. Sure, Monroe works in the will they-won’t they aspect that keeps you wondering, along with a plethora of issues that could keep the characters apart, but it is in those issues that we find the differences. Monroe captures emotions very well throughout this novel. She also mixes in heat, sass, and a great deal of reality to create a story that left me intrigued. 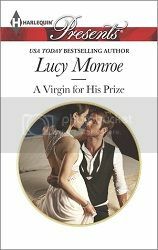 Monroe’s characters in this one may be from the top 1% of society and living the lives that the rest of us don’t even dare to dream of, but that doesn’t mean that readers can’t connect with them. The author’s in depth development make them seem very real and human. Once you understand where they come from, their stories are easy to get in to. Now, that’s not to say that they’re just like you and I. Readers can definitely see and feel the fortunes rolling off of these characters, making our everyday worries infinitely different from theirs. 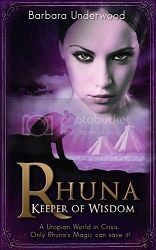 As a whole, this was an intriguing novel that I enjoyed. It was a quick, sassy read great for when you want something light.